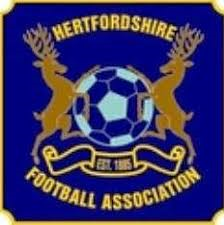 A new date has been set for our Hertfordshire Charity Cup fixture against Potters Bar Town. This tie will now take place at Potters Bar Town's home of Pakex Stadium, Parkfield on Tuesday 18th of December 2018, 7.45pm kick off.  MATCH DAY MASCOT OPPORTUNITIES Opportunities available for your Son or Daughter to represent The Tudors on match days as our mascot. THE HISTORY OF HEMEL HEMPSTEAD TOWN - PART 7  The seventh chapter in our weekly series, looking at the history of The Tudors.